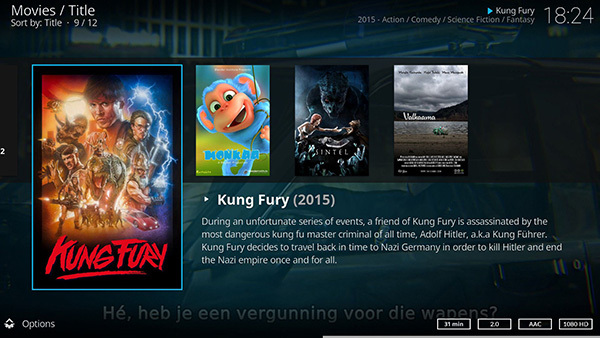 LibreELEC, the popular linux distribution that is built with the sole intention of being able to run Kodi on media center hardware, has been updated to version 8.1.2, bringing with it fixes including some for SAMBA. Currently in beta, the new release can be downloaded right now and has a lengthy log of changes since 8.1.1 beta, with many entries relating to the SAMBA shared location protocol that allows the software to handle media located on shared drives and in shared folders across a network. As with all good software updates these days, LibreELEC v8.1.2 also brings with it some security fixes for multiple vulnerabilities, including CVE-2017-1000250 aka Blueborne pt.1 and CVE-2017-1000251 aka Blueborne pt.2. In order to ensure users are running the latest and most secure version of LibreELEC following a number of security issues, the team has also changed the default update method to be automatically enabled rather than disabled, according to an announcement post on the LibreELEC website. LibreELEC can be downloaded for free, with donations possible via the website. Those wishing to back the software’s developers can also buy a T-Shirt or hoodie to help fund updates.